I have finally decided to continue making delicious dinner meals for my family, especially during weekdays when everyone at night is at home enjoying dinner. I tried to do something different every night so it would not be boring, my family will enjoy the meal and so, I browsed on bettycrocker's website or cookbook I've got from my late mother in law. And speaking of the cookbook she had a lot, therefore I have so many options to find what's none complicated recipe. 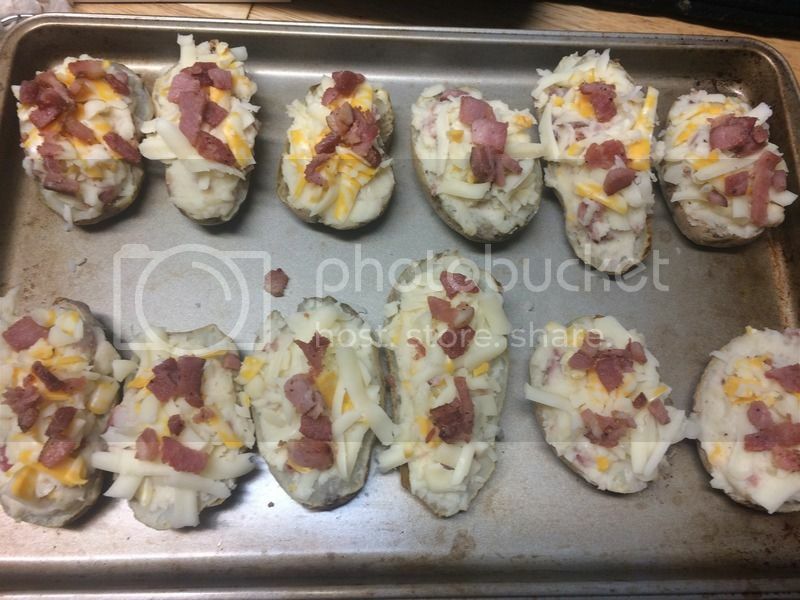 I have previously cooked Baked potatoes before and I don't know where I put the recipe. I'm sure it turned out awesome as my husband loves it, or so as I remembered. · Heat oven to 375°F. Gently scrub potatoes, but do not peel. Pierce potatoes several times with a fork to allow steam to escape while potatoes bake. 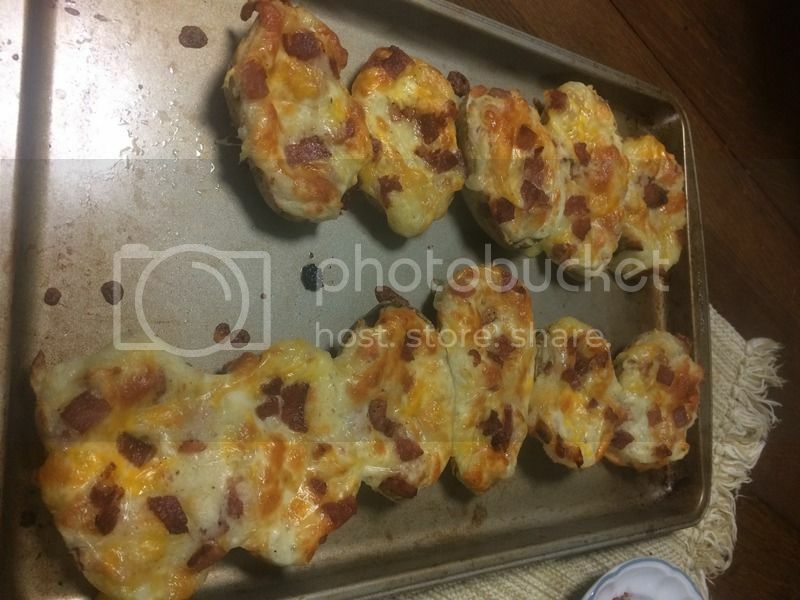 · Bake 1 hour to 1 hour 15 minutes or until potatoes are tender when pierced in the center with a fork. 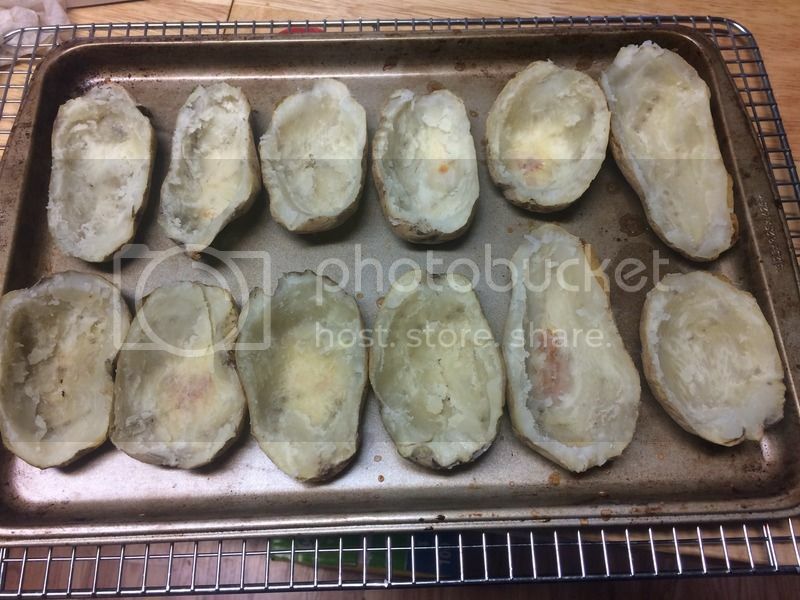 · When potatoes are cool enough to handle, cut lengthwise in half; scoop out inside, leaving a thin shell. In medium bowl, mash potatoes with potato masher or electric mixer on low speed until no lumps remain. Add milk in small amounts, beating after each addition with potato masher or electric mixer on low speed (amount of milk needed to make potatoes smooth and fluffy depends on kind of potatoes used). 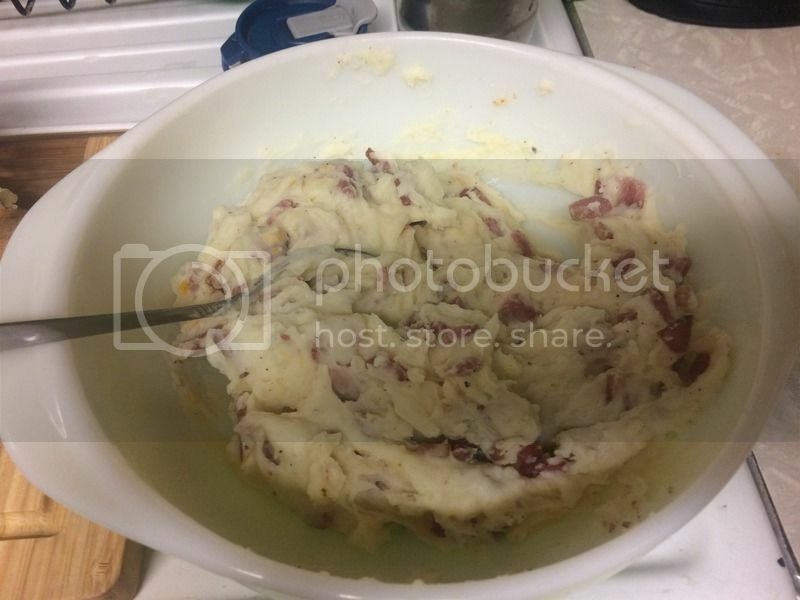 · Add butter, salt and pepper; beat vigorously until potatoes are light and fluffy. Stir in cheese and chives. Fill potato shells with mashed potato mixture. Place on ungreased cookie sheet. · Increase oven temperature to 400°F. Bake about 20 minutes or until hot. 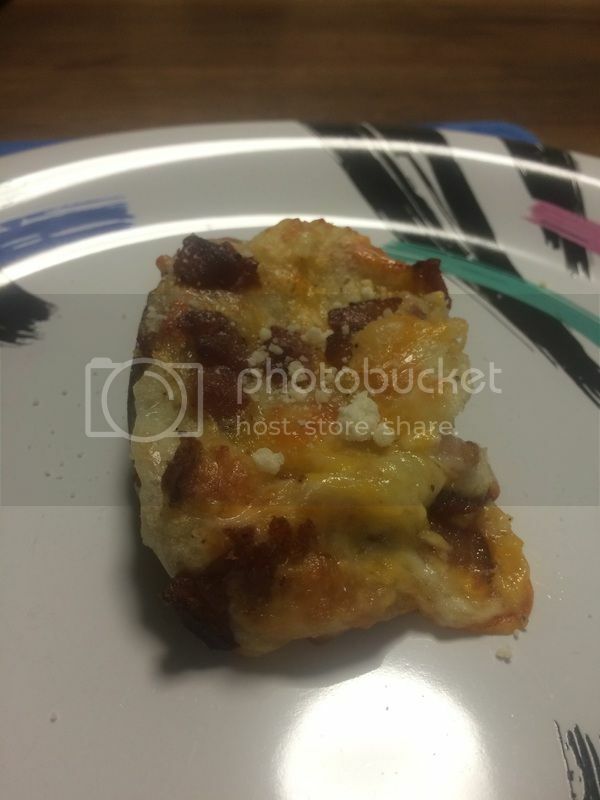 This recipe is courtesy of BettyCrocker's recipe online. I love this website and their recipes. After the whole 2 hours preparation, it's time for my family to enjoy dinner. What's next? Tomorrow will be Caldereta, a Filipino Dish with steaming hot rice.